Diane Chamberlain on tour for SECRETS SHE LEFT BEHIND. Diane Chamberlain , Before the Storm. Raleigh author Diane Chamberlain presents her SECRETS SHE LEFT BEHIND, the much anticipated sequel to BEFORE THE STORM. Come early, Diane's many fans come out in force when she's here! Diane Chamberlain promotes BEFORE THE STORM and other novels. 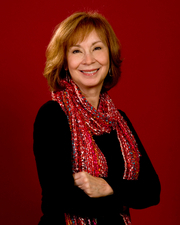 Diane Chamberlain is the author of 17 novels published in more than eleven languages. She writes complex stories about relationships between men and women, parents and children, brothers and sisters, and friends. Although the thematic focus of her books often revolves around family, love, compassion and forgiveness, her stories usually feature a combination of suspense, mystery and intrigue. Diane Chamberlain is a LibraryThing Author, an author who lists their personal library on LibraryThing. Diane Chamberlain is currently considered a "single author." If one or more works are by a distinct, homonymous authors, go ahead and split the author. Diane Chamberlain is composed of 6 names. You can examine and separate out names.